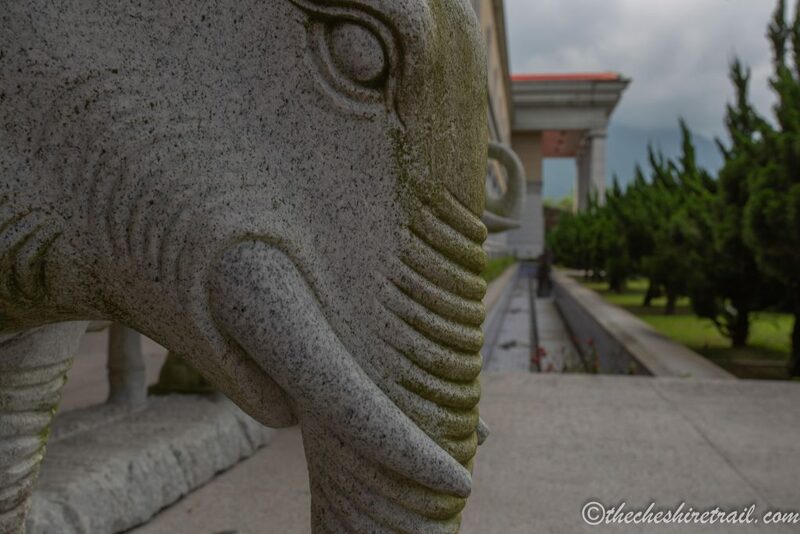 Day two of my Taiwan adventure. I woke up pretty early to get picked up from my hotel and taken to the train station. 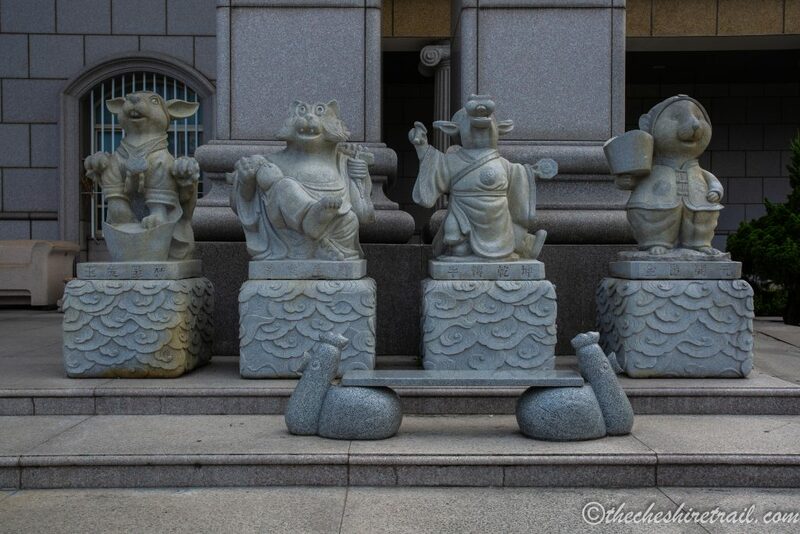 I was joined by a charming couple in their 60’s (maybe) from Hong Kong. Although they were quite nice, politely maintaining small talk while on our way to the train station still felt quite new to me. At the train station, tickets were bought, and we were herded to the train platform. It felt like a live-action version of a scene out of a Studio Ghibli cartoon. I had fun people-watching while waiting for our train to arrive. The train ride to Hualien takes about 3 hours. I sat next to a girl from Texas who had family in Taiwan and I was able to practice making small talk with strangers some more.After a while, my body began to remind me of going to bed late last night and waking up way too early this morning so I settled in for a bit of a nap. 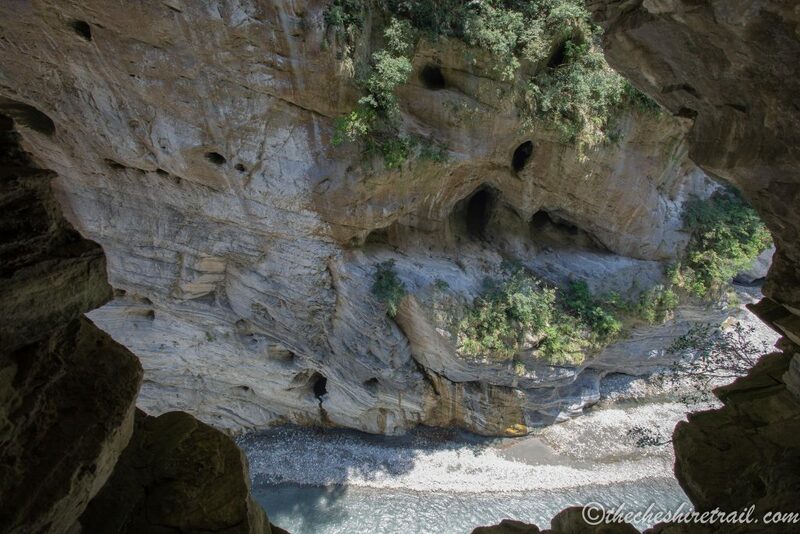 At Hualien, I and the couple found our way to the meeting spot and realized we were actually part of a larger group. Texas girl was there, too. 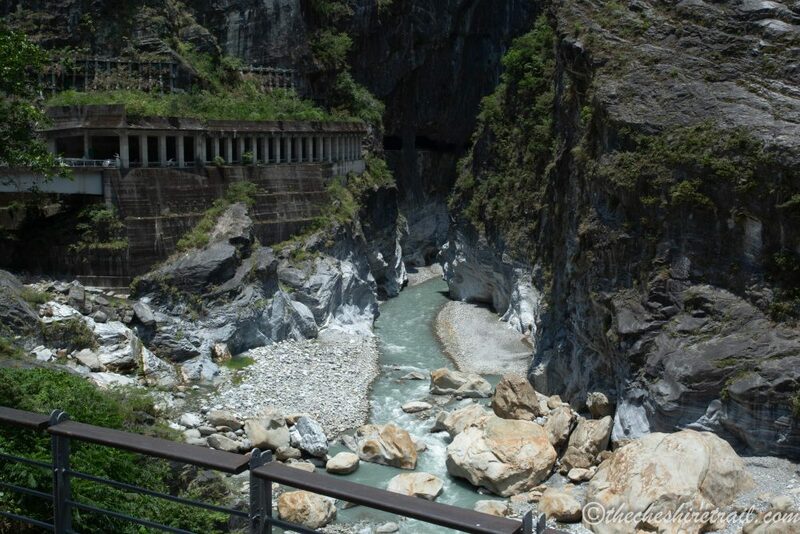 The tour guide, self-dubbed “the Queen of Taroko Gorge” was a study in multilingualism. She easily switched from English to Mandarin, to Japanese without missing a beat,making sure to translate everything she said in all three languages. I suppose if you were that talented, you earn the right to crown yourself queen of something. 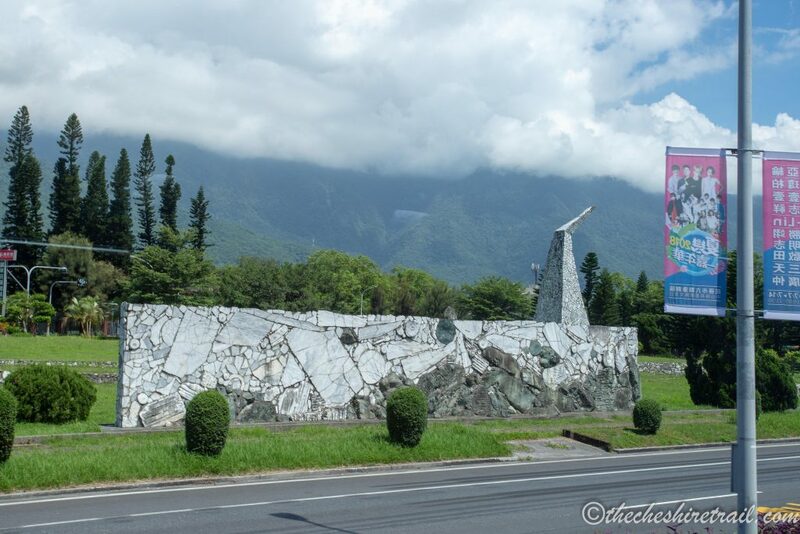 Our first photo stop was the Arch of Taroko. 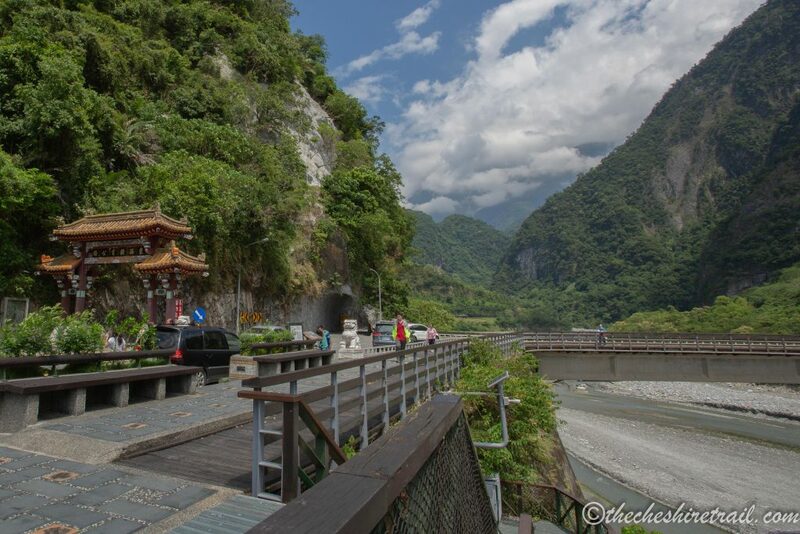 It’s the East Entrance to the Taroko National Park and often the first thing visitors encounter when entering the park. We drove around the gorge and stopped at a short trail for a quick walk. I decided to stay at the trail head and take photos. 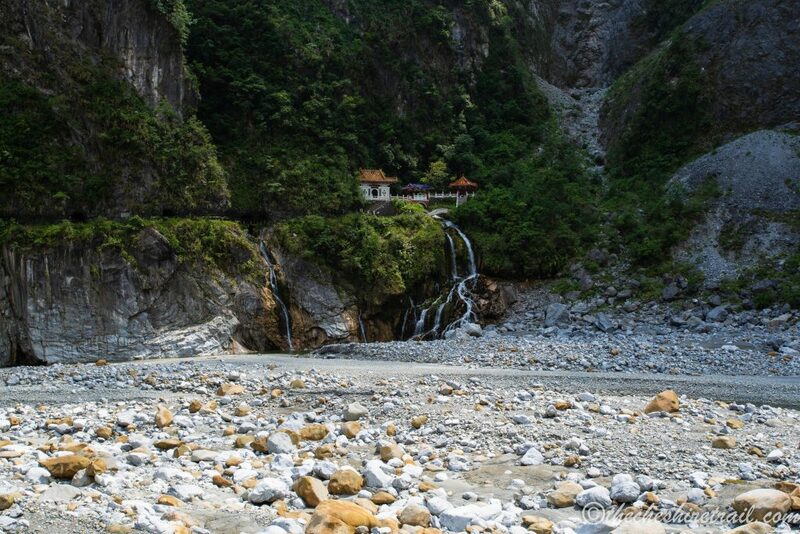 After that, the bus traveled through the gorge towards Silks Place Taroko for a Lauriat lunch of local cuisines. Along the way, we stopped at the Swallow Grotto. The guide told us we were very fortunate that it was open today. Apparently, the recent earthquakes and high waters had caused long periods of trail closures. We also stopped through the Tunnel of Nine Turns but access to the rest of the area was limited due to construction and road repairs. Still, it was neat to see the gorge from above. Looking down to the river from the cliff side can be stomach-churning for someone scared of heights like I am. 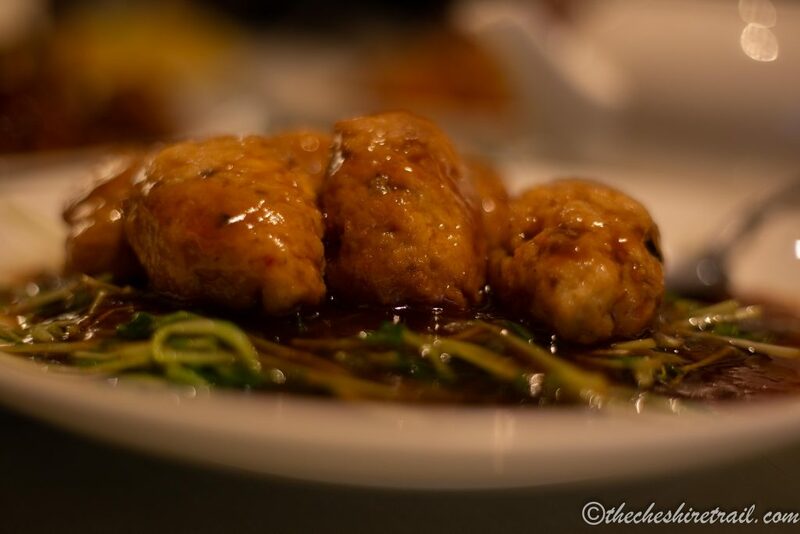 Lunch at the Silks was not too shabby, although it was not life-changing either. The ambiance was relaxing, however, especially after the winding roads. We also had a little time to explore the area and just laze around before getting back in the bus. From Silks, we drove back through the gorge heading for the Marble Factory. 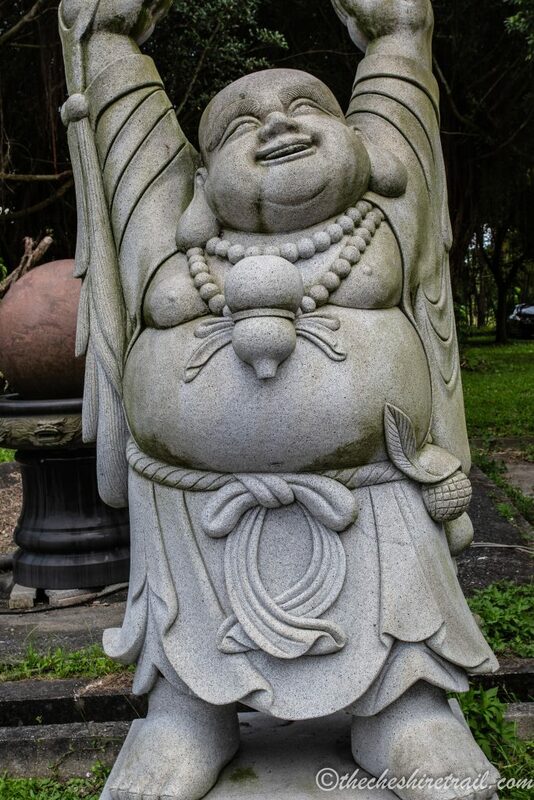 Along the way, we stopped at a viewpoint where you could see the Changshun Tzu waterfall and temple. We also stopped at a rope suspension bridge and everyone was made to cross it and back. My knees turned to Jell-O when it was my turn but I did make it across and back. I even stopped midway and took a selfie. I was indeed spending today way outside my comfort zone in more ways than one. At the marble museum, we had a quick primer from the staff about how to tell real jade from jadeite before we were ushered into an enormous showroom where they sold jewelry made from all sorts of gems. Photography was not permitted inside the building but I managed to find lots of interesting things to photograph outside. The massive building looked like a government palace straight out of Europe with waterfalls, landscaped gardens, and marble and stone statues. Before heading back to the station to catch our train back to Taipei, we stopped by a confectionery store where they sold mochi of almost every kind. I was like a kid in a mochi store. I bought treats for the family and more treats for me. 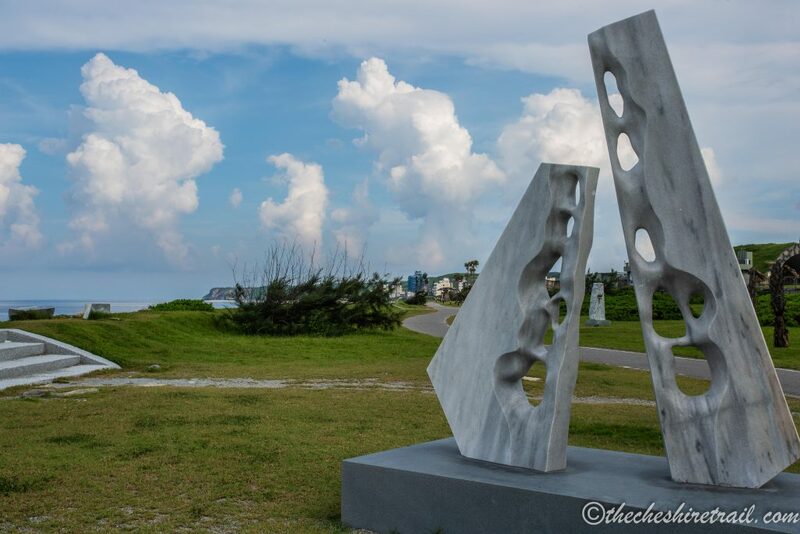 After that, a quick stop to a beach-side park with an awesome panoramic view of the Eastern coast of Taiwan in front of you, and a military installation complete with bunkers and razor wire-topped walls behind you. By the time we boarded the train home, I was so tired that I napped most of the way despite the clamor and loud snoring from the guy sitting right next to me. I didn’t get to go camping in the gorge on a full moon but I think I will save that for next time. By the time I got dropped off at my hotel, I was exhausted. After a quick snack and a much needed cool shower, I went to bed to rest up for the next day’s adventure.